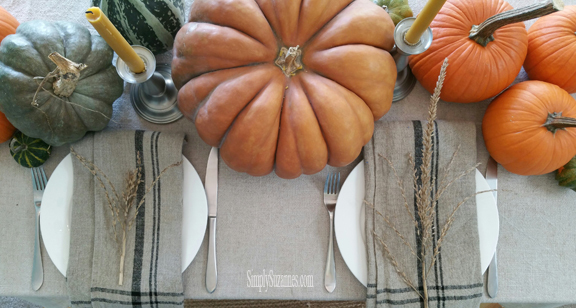 We had a wonderfully fun and FULL Thanksgiving weekend! I loved having my Littles home for 5 days! 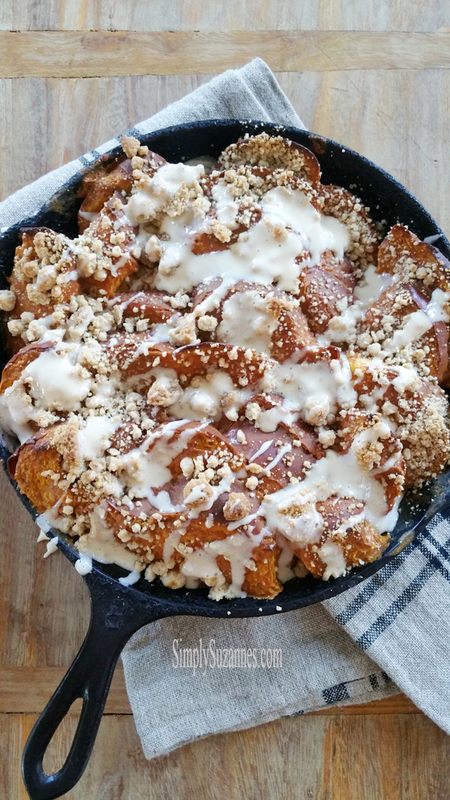 We slept in every day, feasted on Thanksgiving brunch left-overs (Pumpkin French Toast! 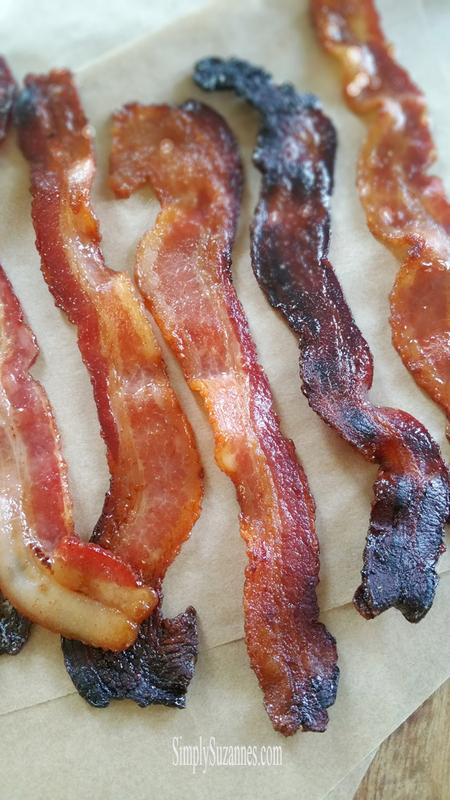 Brown sugar bacon! YUM!! ), started decorating for Christmas, and celebrated our oldest son's engagement to his long-time girlfriend. Although I miss my family and friends back home terribly, we had so much to celebrate and be thankful for, even from afar. We visited our first Tree Farm over the weekend . . . and it was so beautiful! 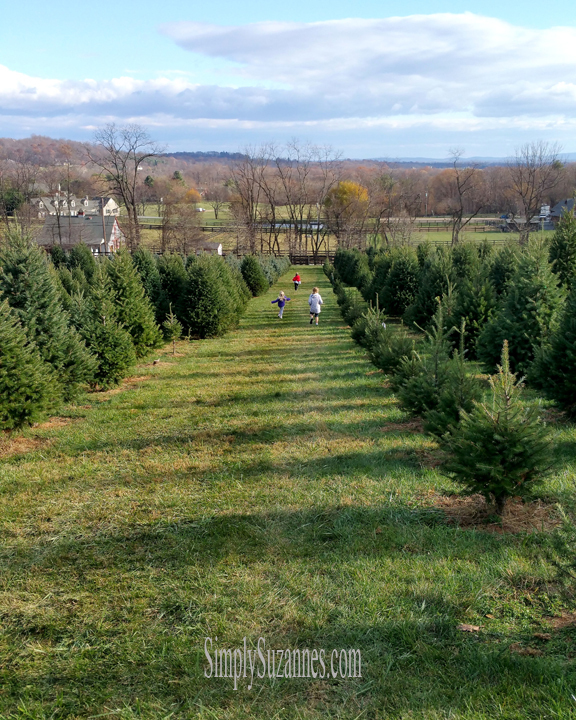 Snickersgap Tree Farm is nestled on a hillside in the breathtaking area of Bluemont. We bundled up . . . sweatshirts, jackets, gloves, scarves and knit caps . . . and ventured up and down the hillside looking for the perfect tree. I loved watching our Littles run free! And that view!! Northern Virginia's landscape is breath-taking! It's one of the prettiest states I've visited in our Union. 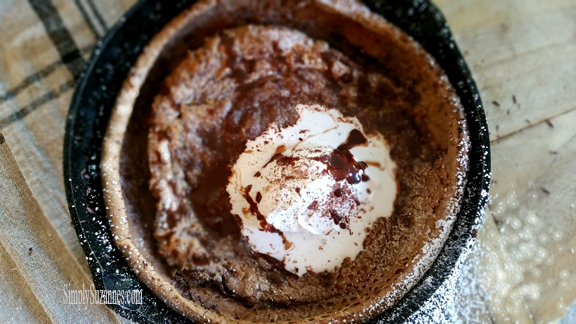 Ok, so our relaxing weekend had me thinking about dutch baby's. Have you heard of them, or better yet, have you had one? It's a cross between a tender sweet pancake and a popover. Its base is humble, which makes them the perfect receptacle for syrups, fruits, jams, and powder sugar. 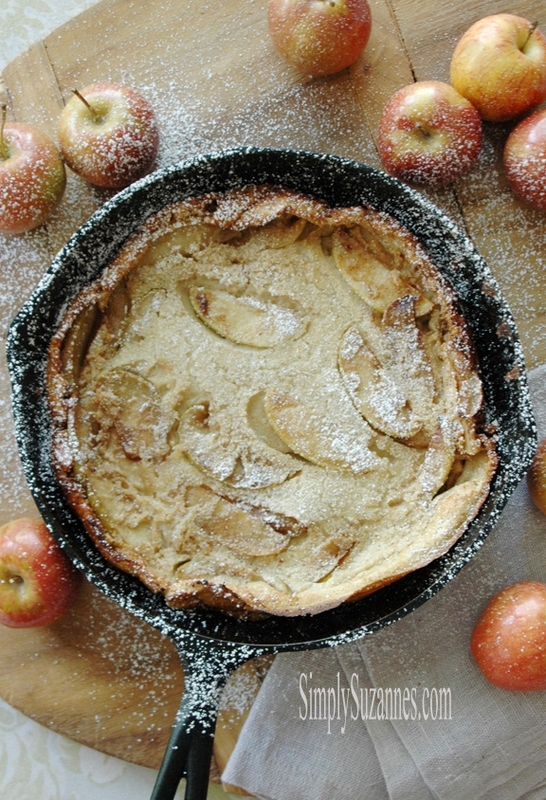 I shared a recipe for an old-fashioned dutch baby several years ago; and since then - have shared a cinnamon apple and an asparagus & fontina version. They're so simple to prepare and delicious! For a hard-core lover of chocolate (that's me!! 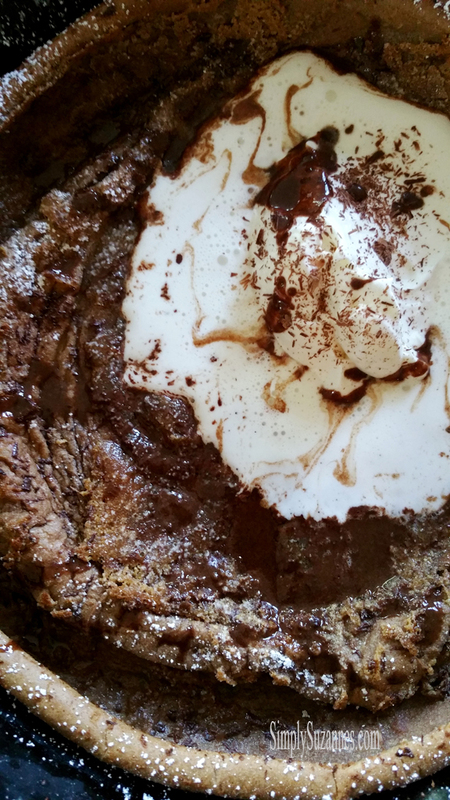 ), I don't know why it took me so long to make a chocolate dutch baby? Well, I couldn't let another weekend pass without figuring out how to make one. And Friends, it was so good! So good! It's puffs are even prettier wearing chocolate! If you haven't made one before, then let me share again how easy they are to prepare . . . It's as simple as putting all the ingredients in a blender and blending the mixture until it's frothy. The sizzling hot skillet and butter wait patiently in the oven for the frothy mixture . . . and that's where the magic happens . . . 15 minutes later you have pillows of yumminess! I recently discovered the magic of flavored maple syrups, too . . . browned butter maple syrup and chocolate maple syrup. Both are amazing! 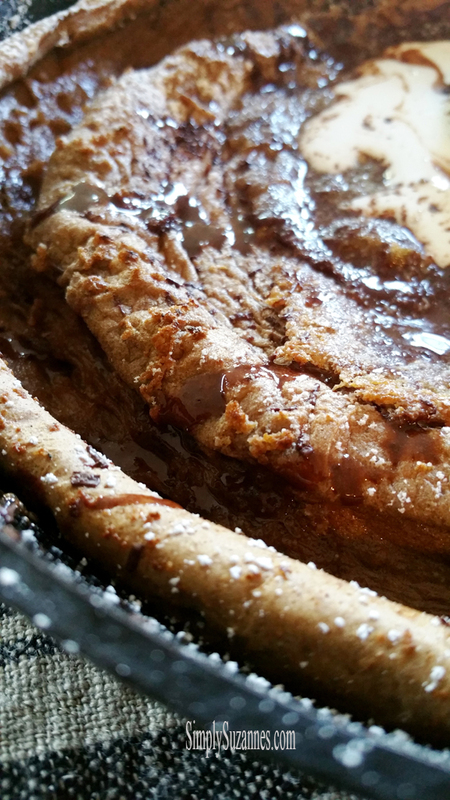 I'm going to share the simple recipe for chocolate maple syrup below, because it's uhhhh-mazing on top of a chocolate dutch baby! It's as simple as adding a little cocoa powder and melted butter to maple syrup. Good-NESS!!! 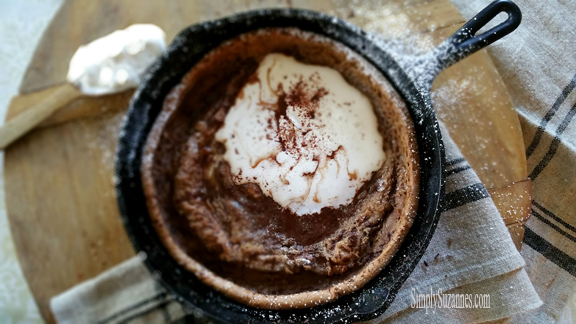 Add that on top of your chocolate dutch baby, along with fresh whipped cream . . . . and you have a very special breakfast, brunch, or dessert! Ok friends, I hope I shared enough photos in this post to send you running into your kitchen to make one! 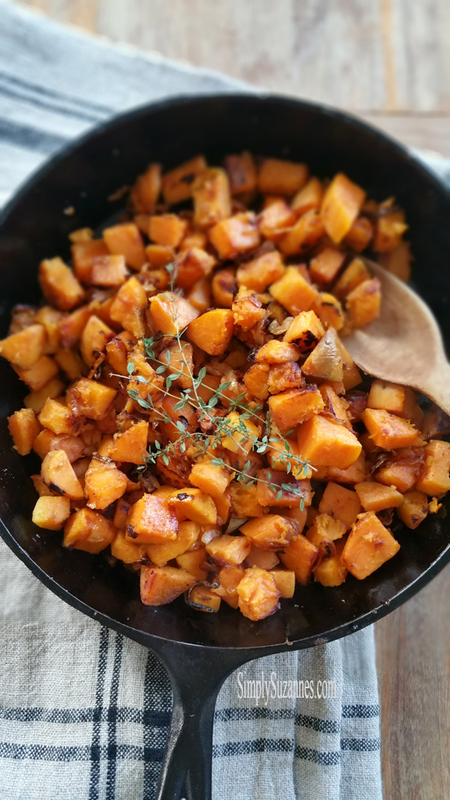 Place butter into a cold 10-inch cast iron pan or an 8x8 baking dish and place the pan with butter into the oven while the oven is preheating. 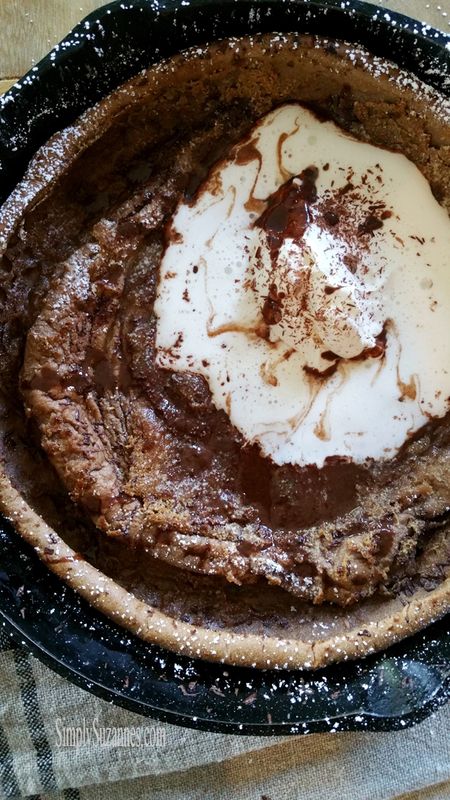 In a blender, using a hand mixer, or using a whisk by hand, whip the flour, eggs, milk, cocoa powder, salt, and sugar. Blend or beat the mixture until it is nice and frothy! Pour the batter in the center of the hot pan. The batter should sizzle in the butter. Close the oven and watch it rise. While the pancake is baking, mix all the ingredients for the chocolate syrup in a small sauce pan over medium low heat. Set aside. In a chilled bowl, using a stand mixer with a whisk attachment or in a chilled bowl using a hand mixer , whip chilled heavy cream and vanilla. With the mixer running, sprinkle in confectioners sugar. Increase speed to medium-high and beat until soft peaks form. 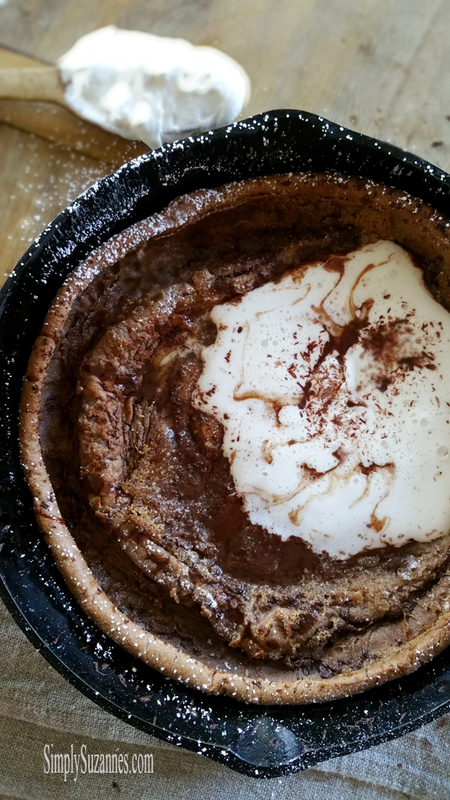 Let the dutch baby cool slightly before topping it with the chocolate syrup and whipped cream. Sprinkle with toppings of your choice. I just finished my bowl of chili for lunch and I was perfectly satisfied. That is until I read this post. 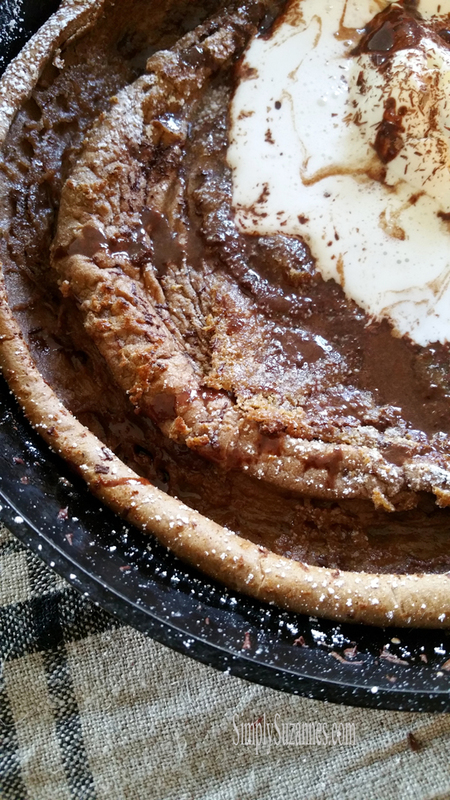 Shame on you for making me hungry again :-) I'd like to make your dutch babies my bambinos! Can't wait to read your next recipe. I'm glad you had a nice Thanksgiving, whether there are many or a few, family makes it special. Have a wonderful day! Sending big hugs!! I never heard of Dutch Babies before. They seem to make so I'm going to make up the asparagus one first. Yum!